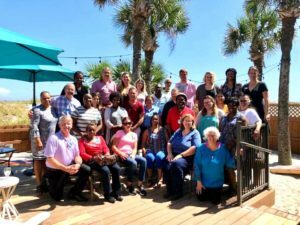 At the Clubhouse, survivors of brain injury are considered members, not clients or patients and, as such, claim responsibility for making program decisions and directing the daily operations of the Clubhouse. The Clubhouse day is structured around meaningful work in a work unit. Members choose to complete tasks that directly support the operations of the Clubhouse- from hiring staff, to advocating for brain injury services, to writing a newsletter article or preparing lunch. Members work side by side with staff at the Clubhouse and interact with staff as peers. 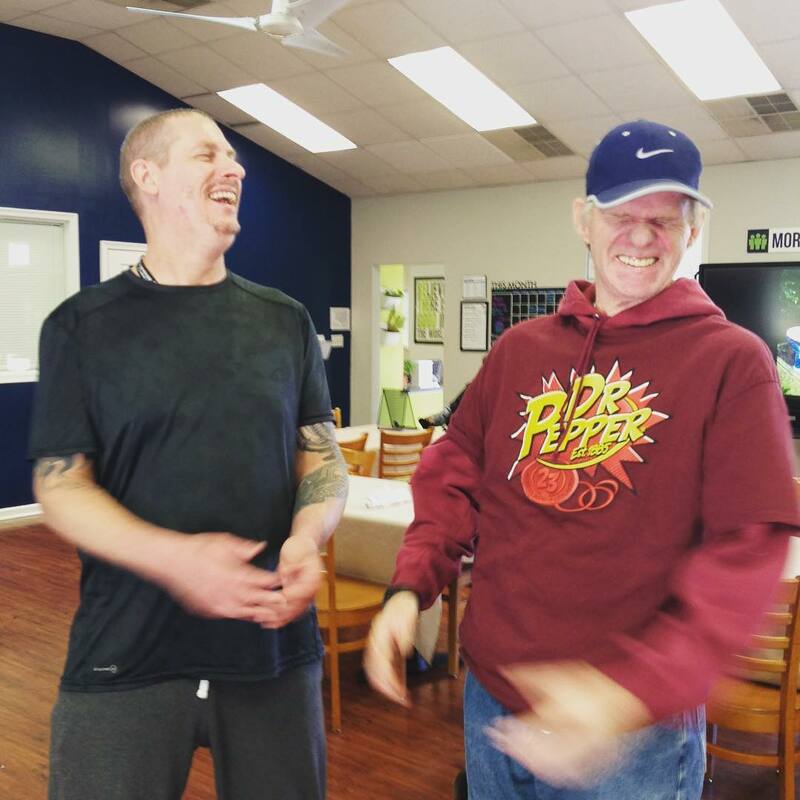 Through this relationship, members receive necessary supports while still maintaining ownership over their service planning at the Clubhouse and the course of their rehabilitation. 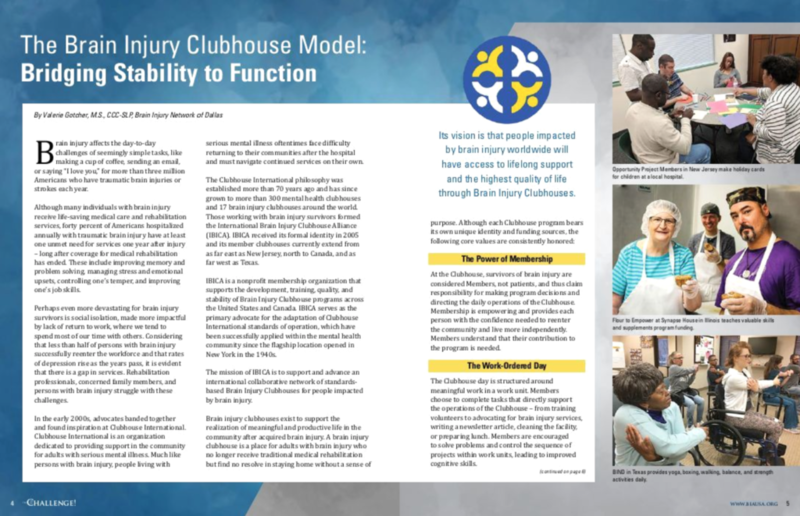 Clubhouse membership offers survivors of brain injury consistent, long term support that is available for as long as the member needs or desires. 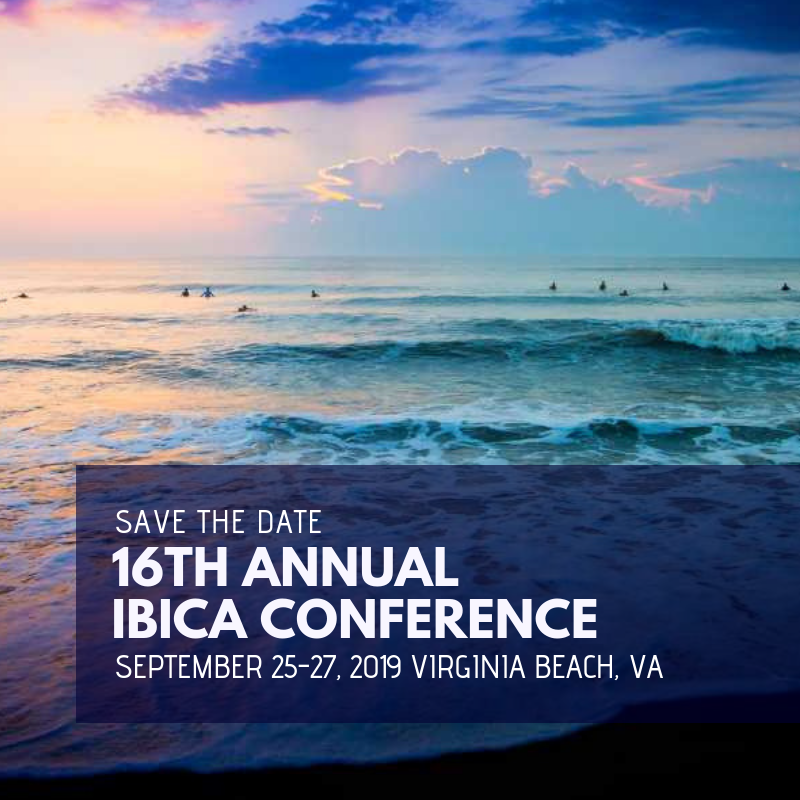 Read the article featuring IBICA in the Fall 2018 issue of The Challenge! Experience the Brain Injury Clubhouse. Experience Community. The mission of IBICA is to support and advance an international collaborative network of standards-based Brain Injury Clubhouses for people impacted by brain injury. The vision of IBICA is that people impacted by brain injury worldwide will have access to life-long support and highest quality of life through Brain Injury Clubhouses.